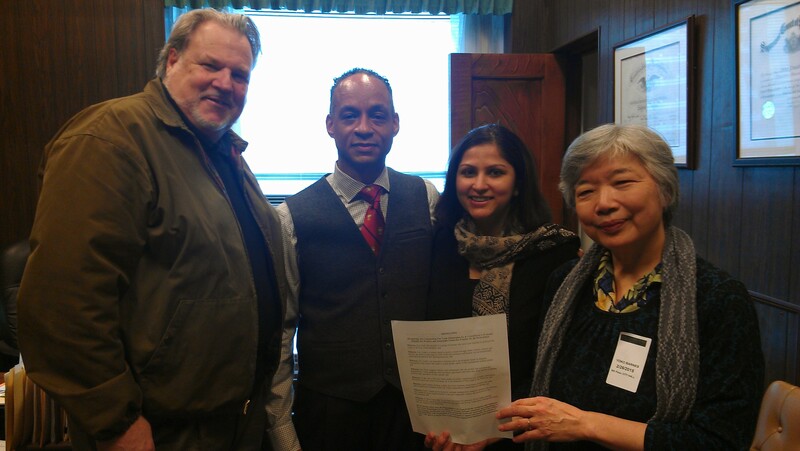 The Philadelphia City Council officially signed and passed the resolution on February 26th, 2015 recognizing and Commending Fair Trade Philadelphia for its Commitment to Economic Equality for Workers and Sustainable Production Practices for the Environment. Read the entire resolution below. Recognizing and Commending Fair Trade Philadelphia for its Commitment to Economic Equality for Workers and Sustainable Production Practices for the Environment. BE IT FURTHER RESOLVED, That the Council encourages the City’s Office of Sustainability and the Department of Procurement to support and practice the policies of Fair Trade and to promote Fair Trade practices among local businesses and organizations.